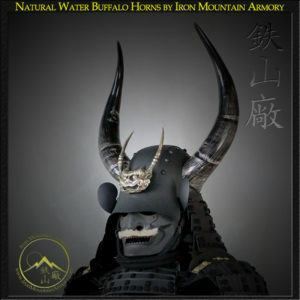 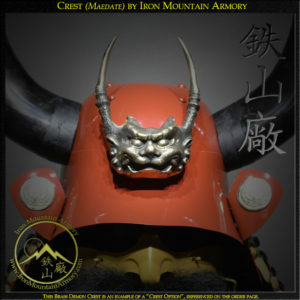 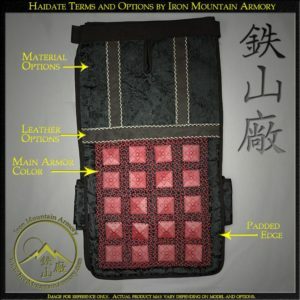 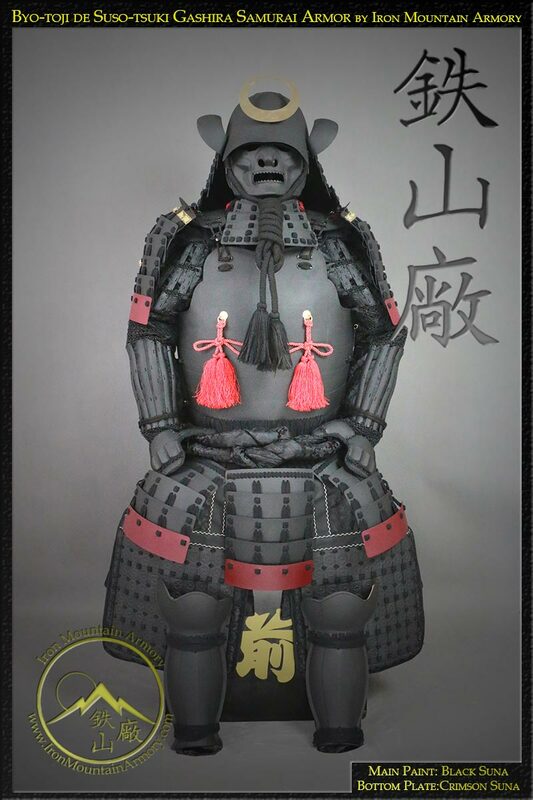 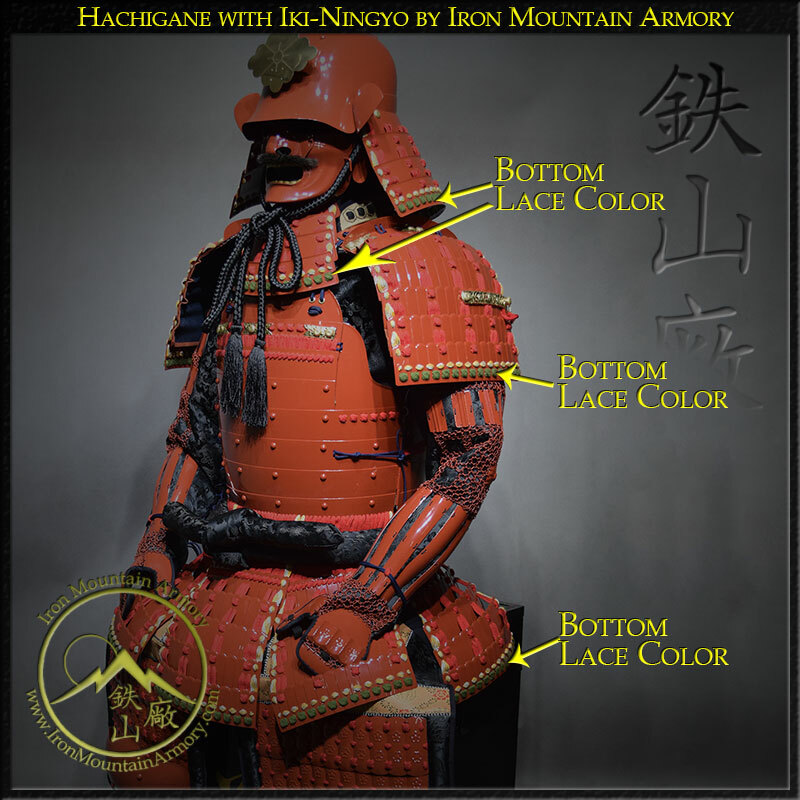 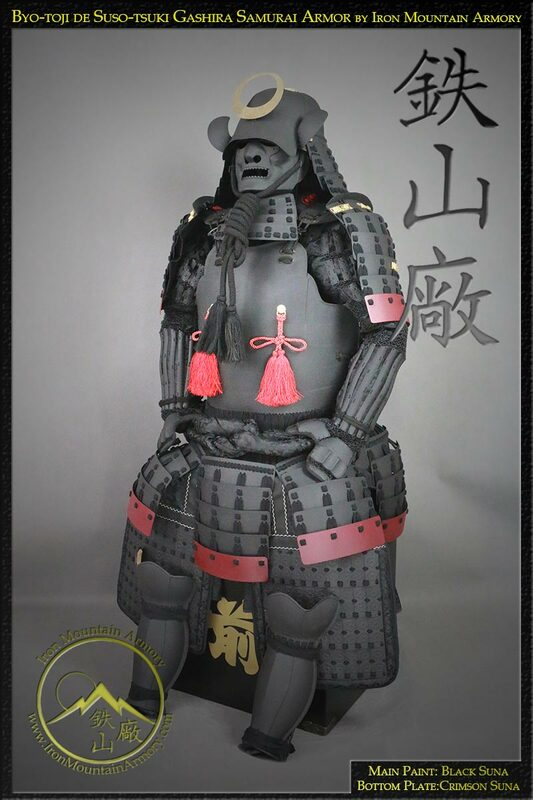 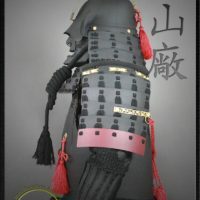 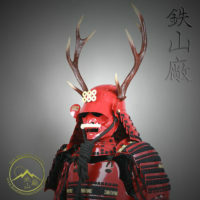 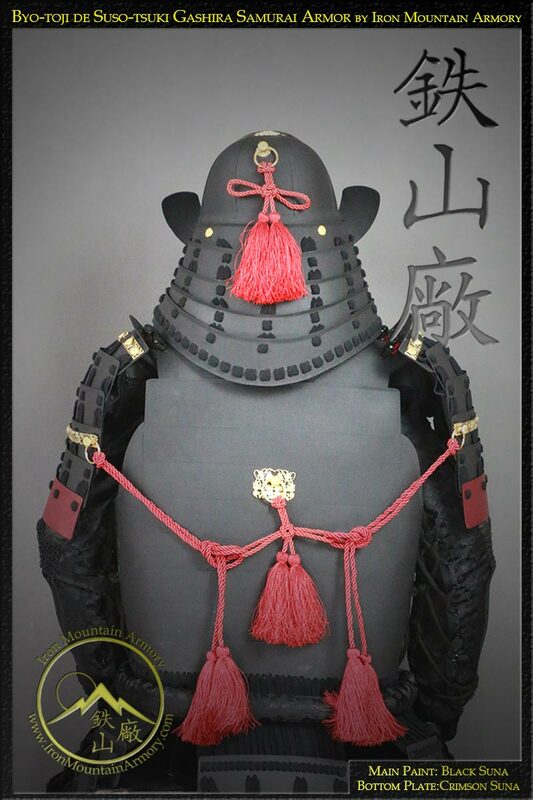 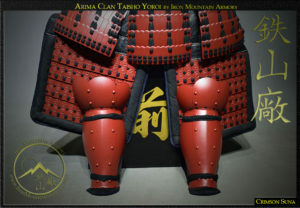 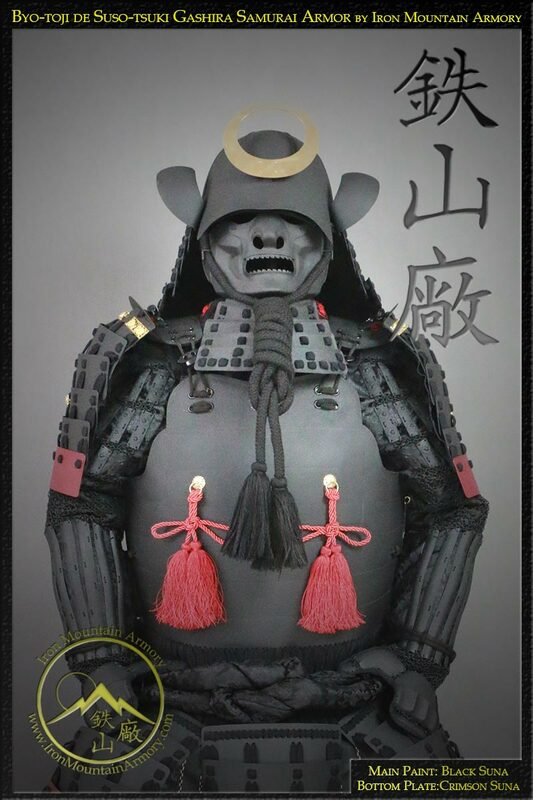 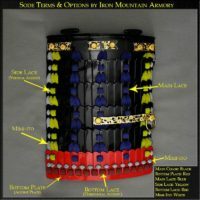 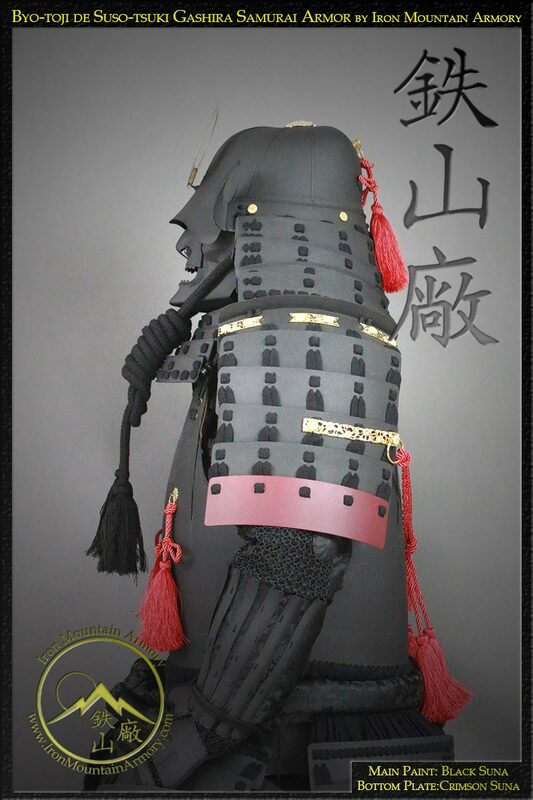 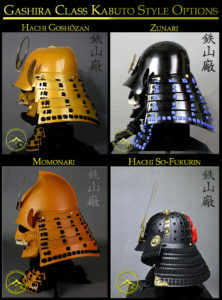 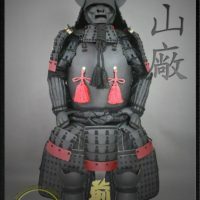 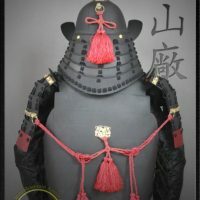 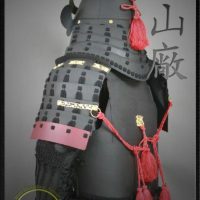 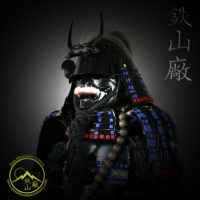 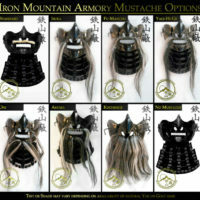 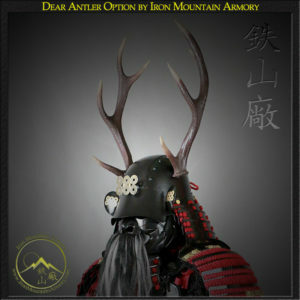 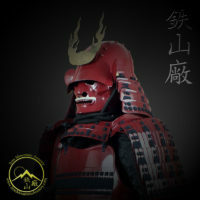 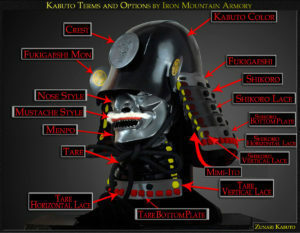 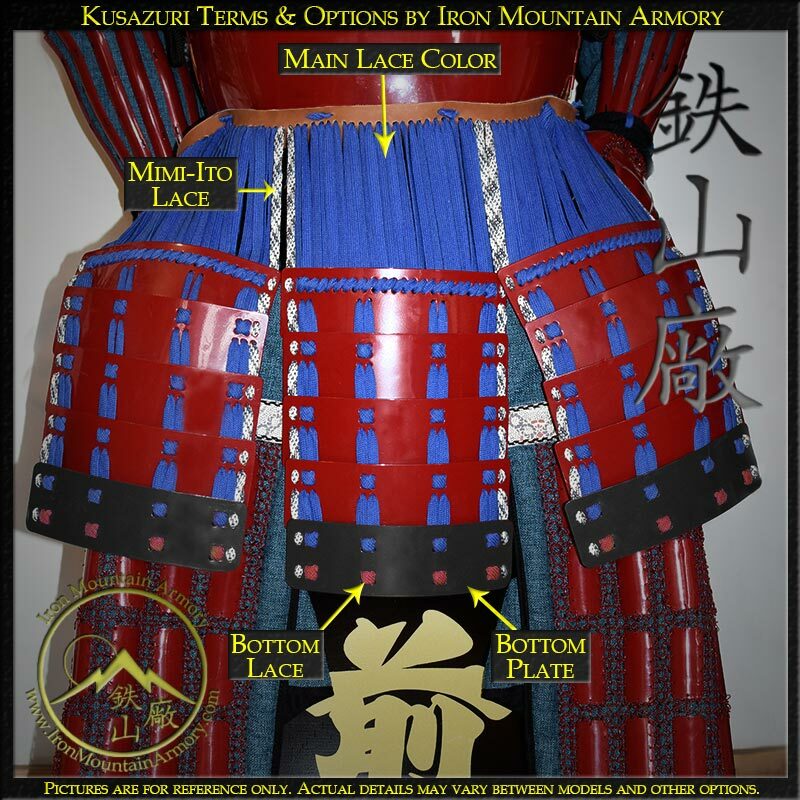 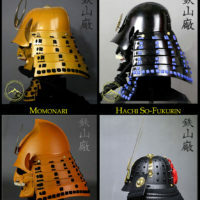 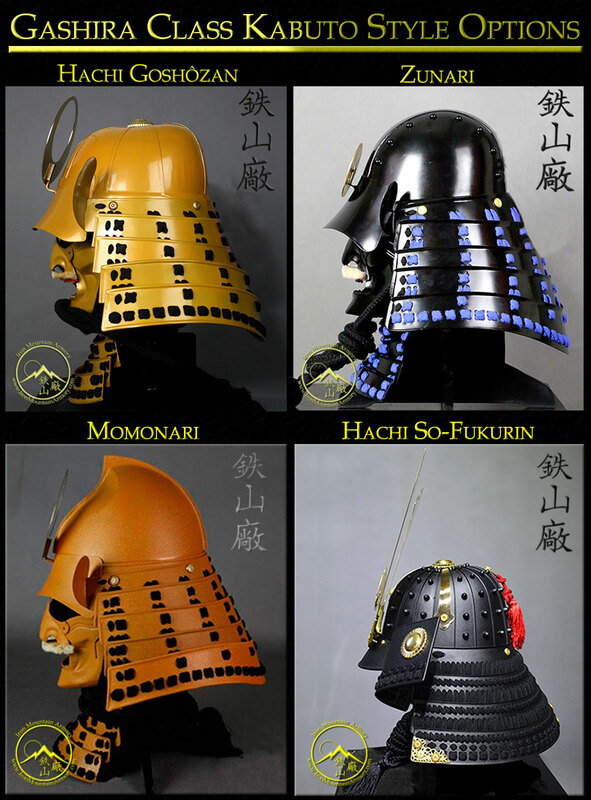 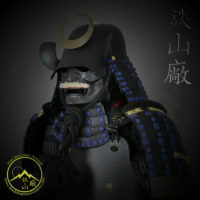 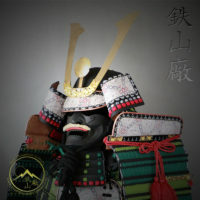 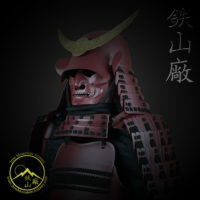 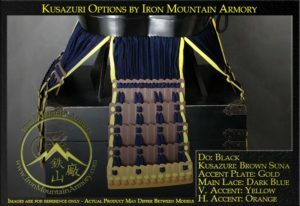 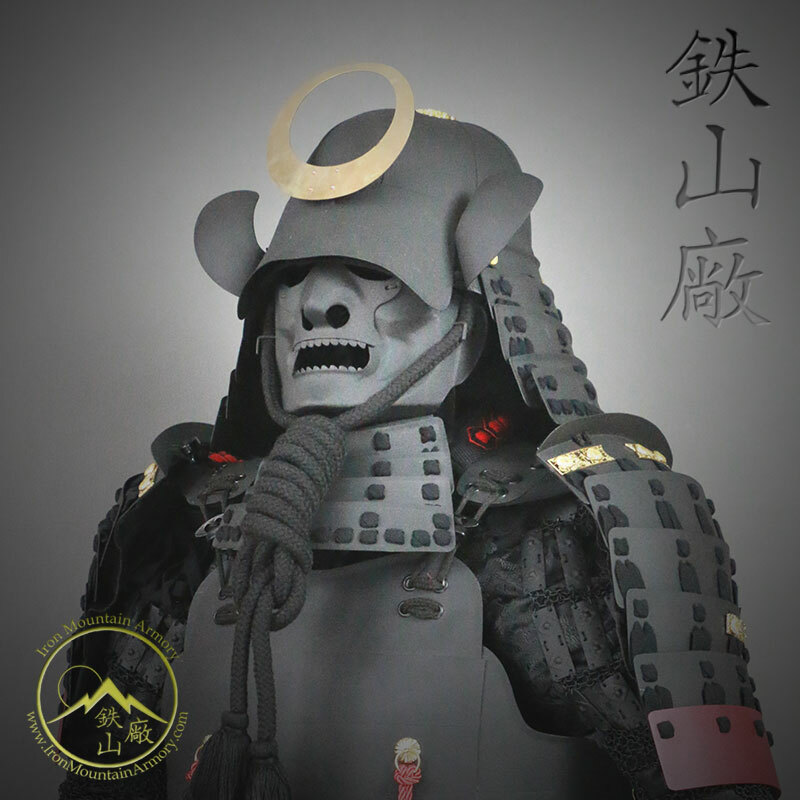 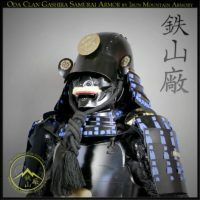 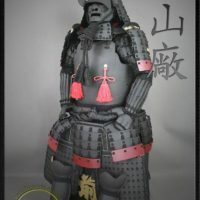 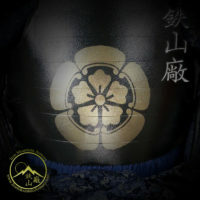 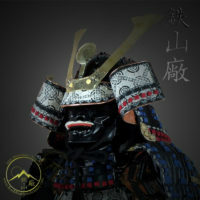 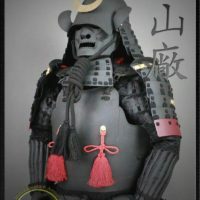 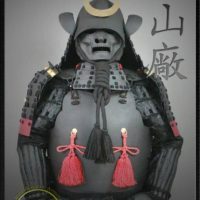 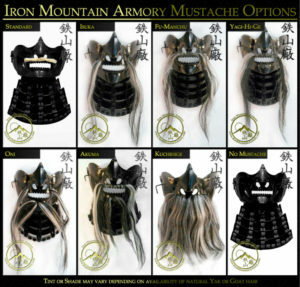 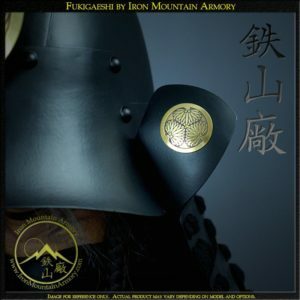 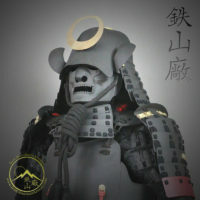 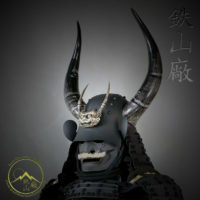 Our standard Yokohagi Okegawa Suso-tsuki (with accent) samurai armor set. 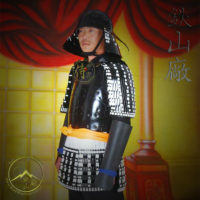 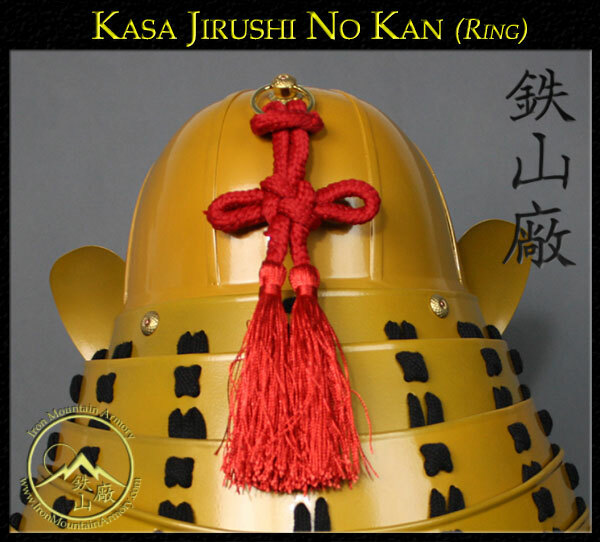 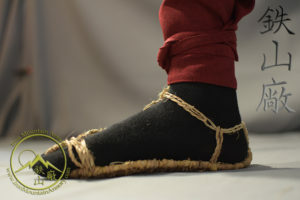 features the ni-mai dô which was one of the more popular yoroi designs toward the end of the Sengoku (Warring States) period. 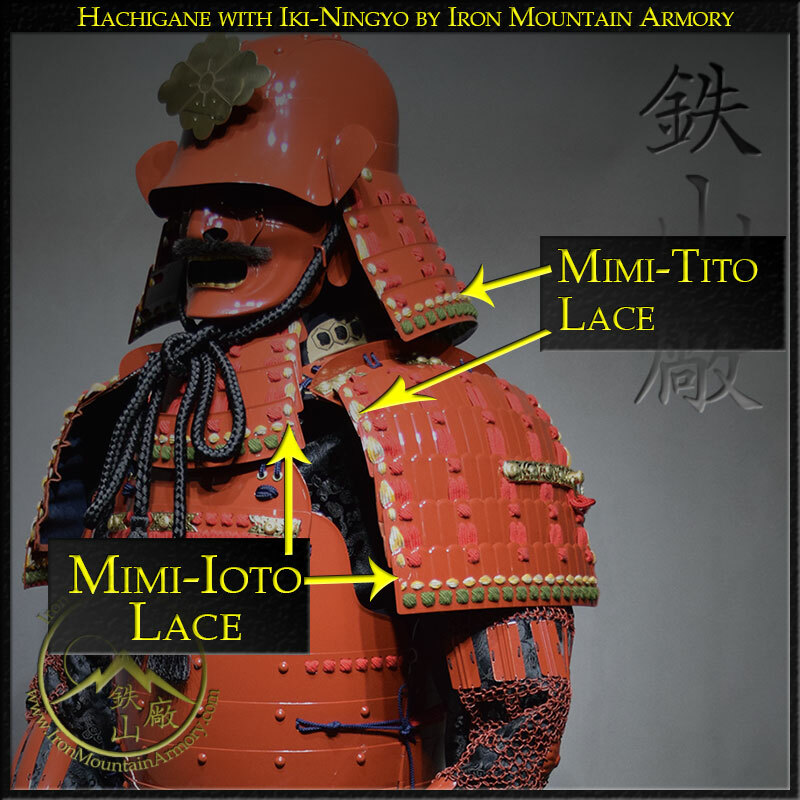 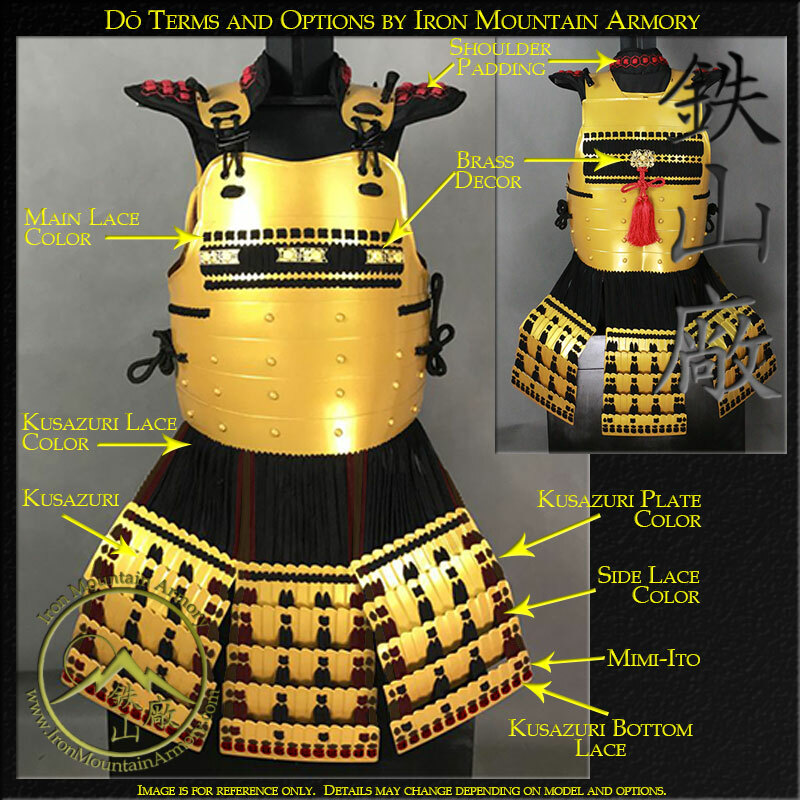 Okegawa means “tub-sided” and refers to the tub-like shape of the cuirass construction. 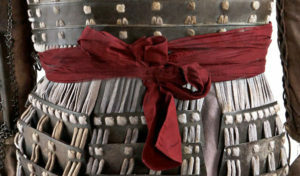 The most common style of Okegawa dô in this time period was the Yokohagi in which the plates are riveted in horizontal rows. 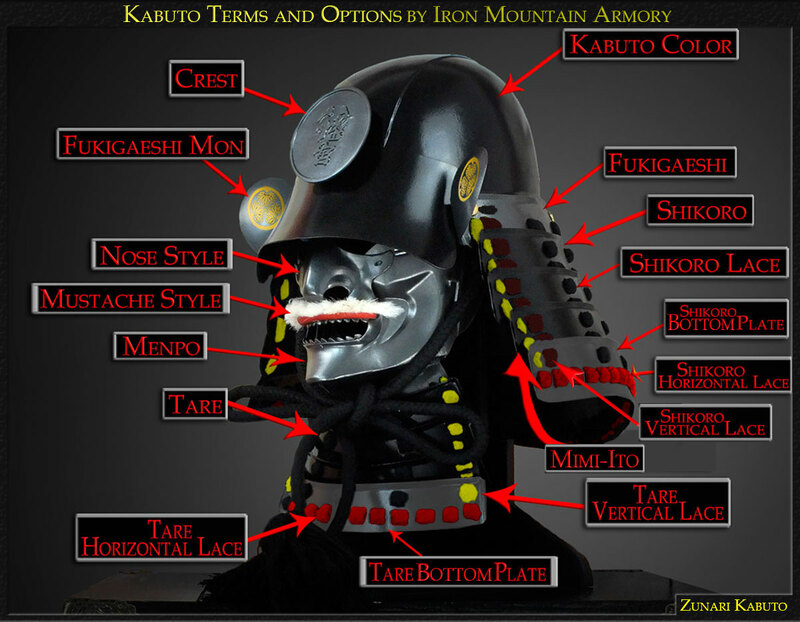 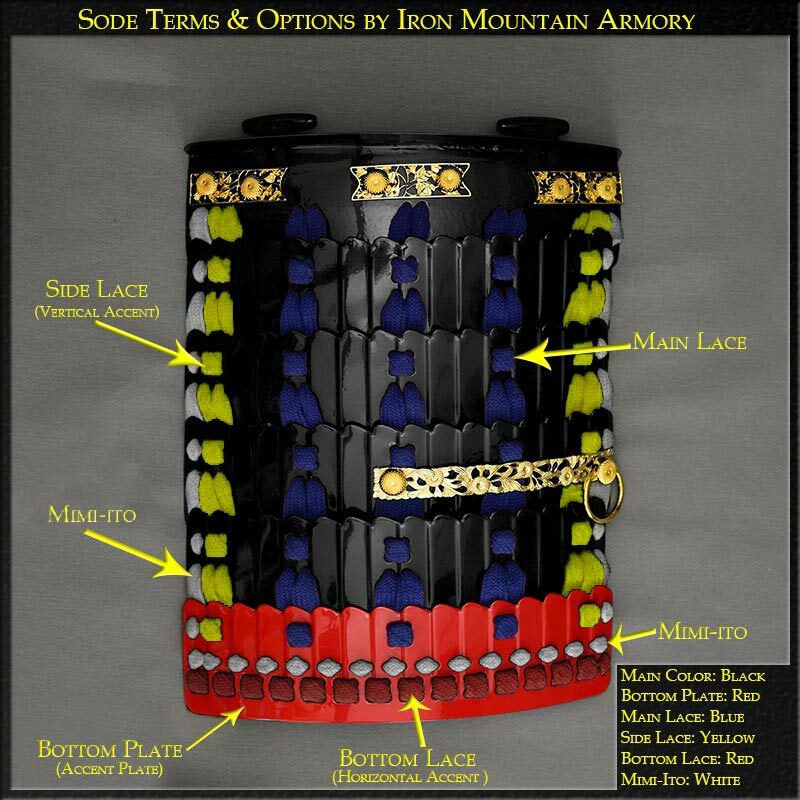 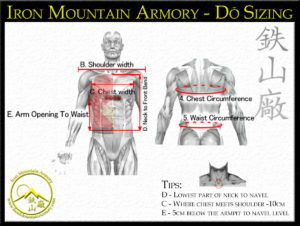 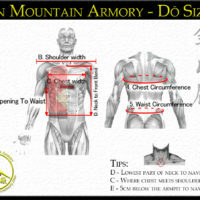 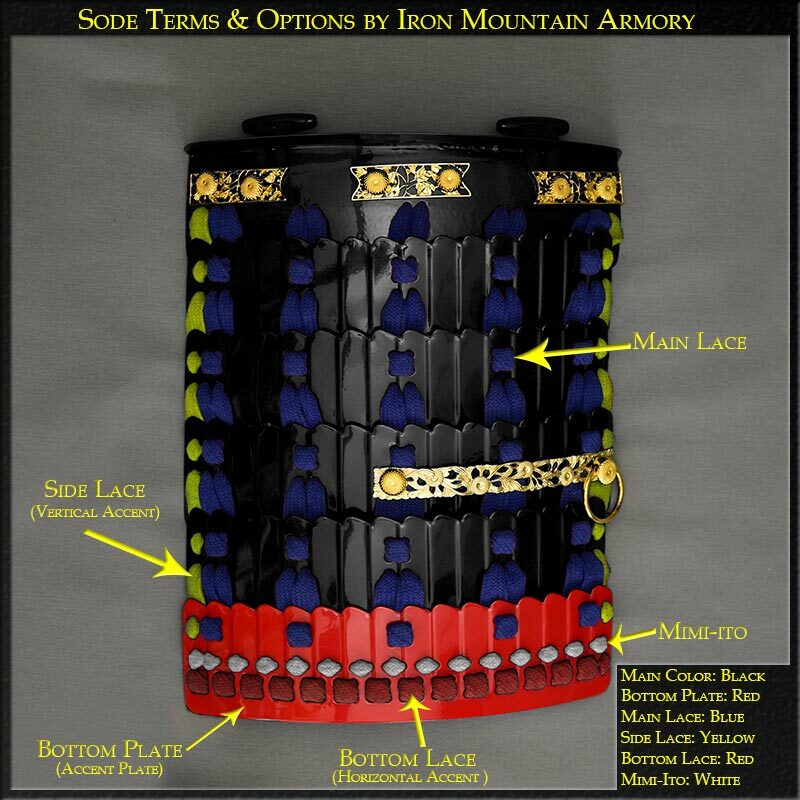 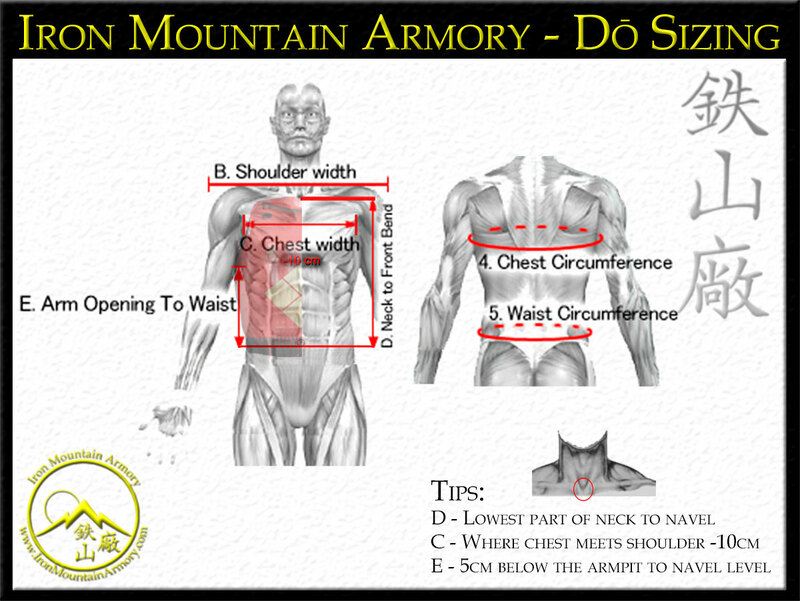 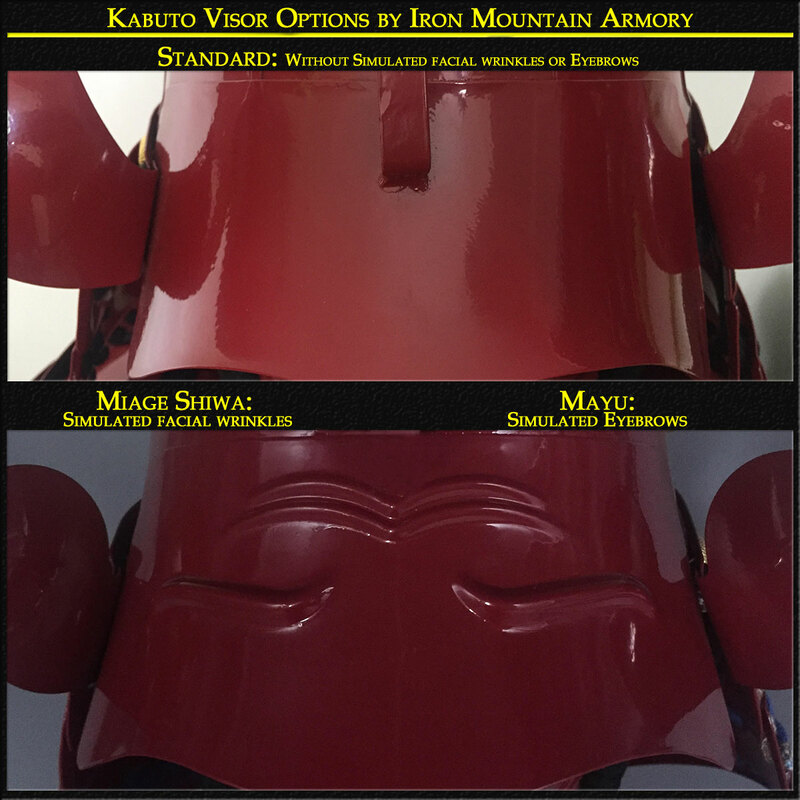 Suso no ita – A general term for the lower most lame on a item of armor such as a shikoro, sode or tare. 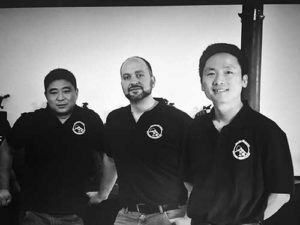 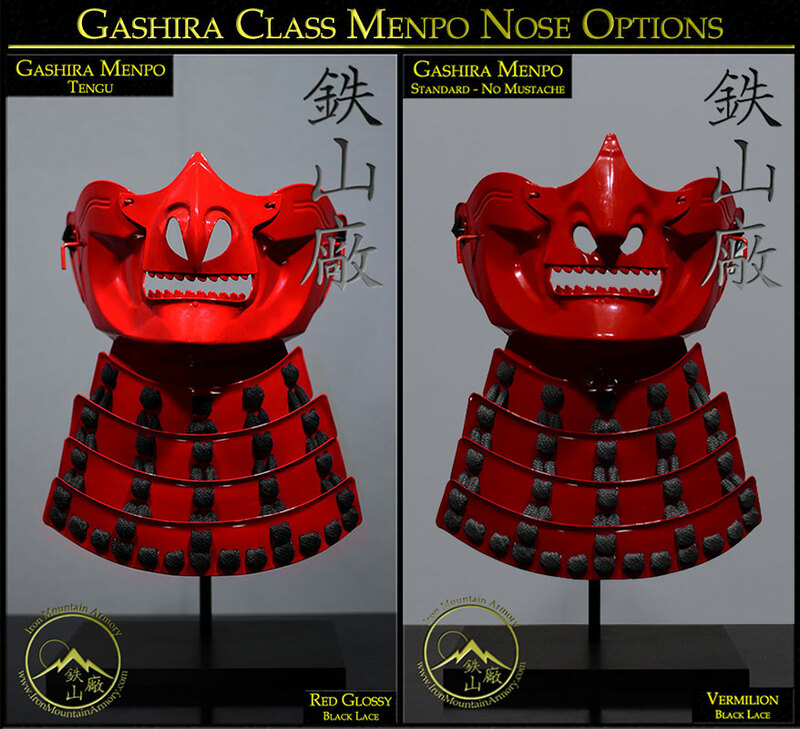 Features: Gashira Class crafting. 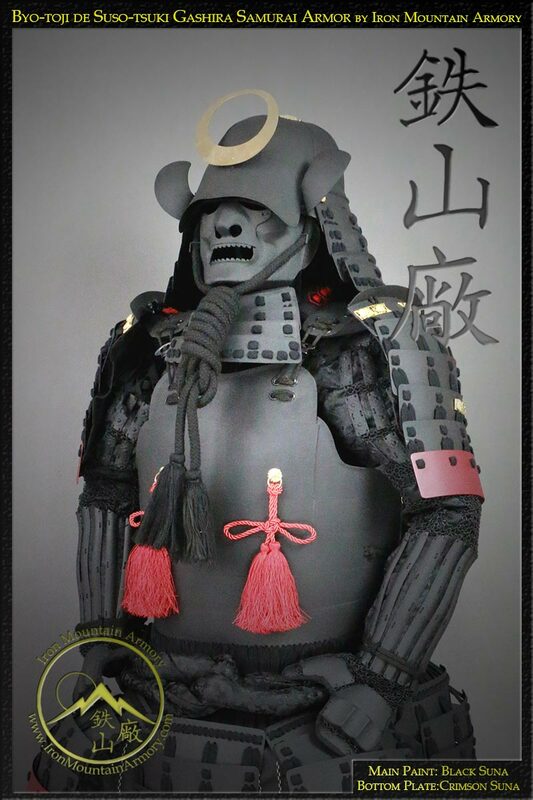 Full sized and fully functional. 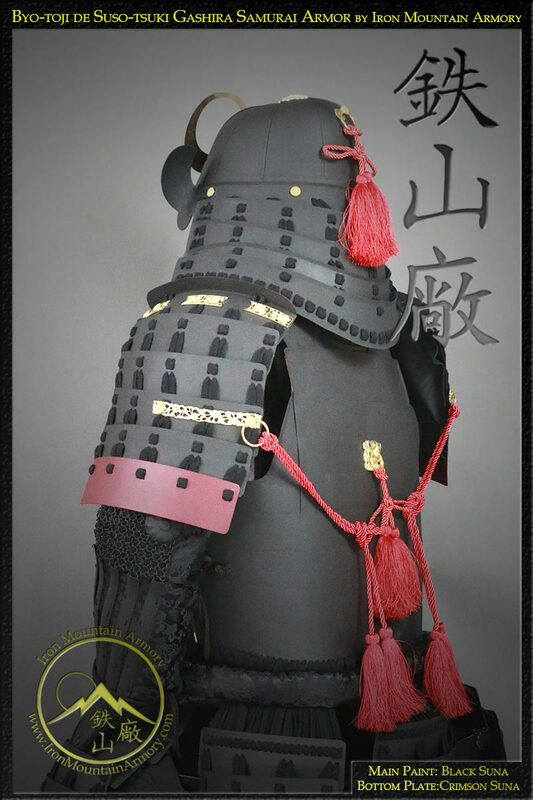 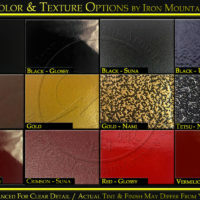 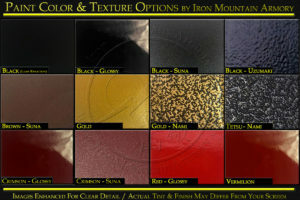 Variation of paint, high quality cotton odoshi colors and traditional features. 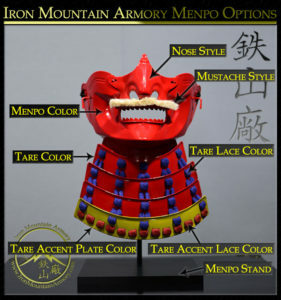 Includes display box and stand. 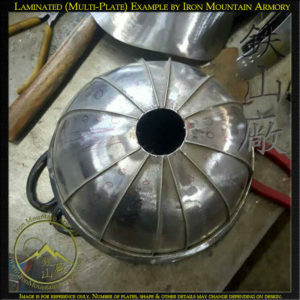 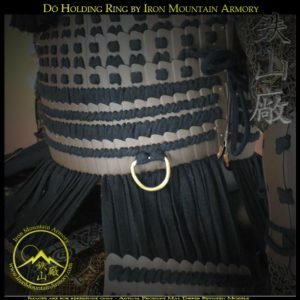 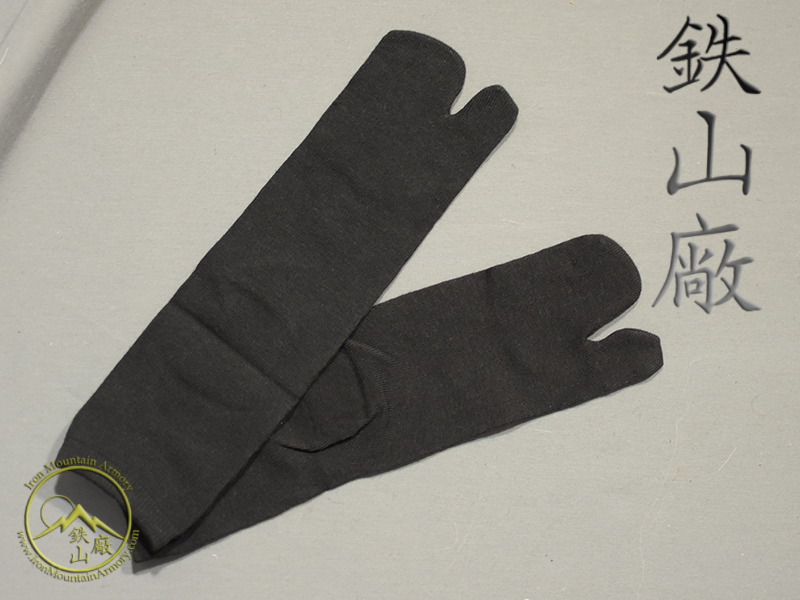 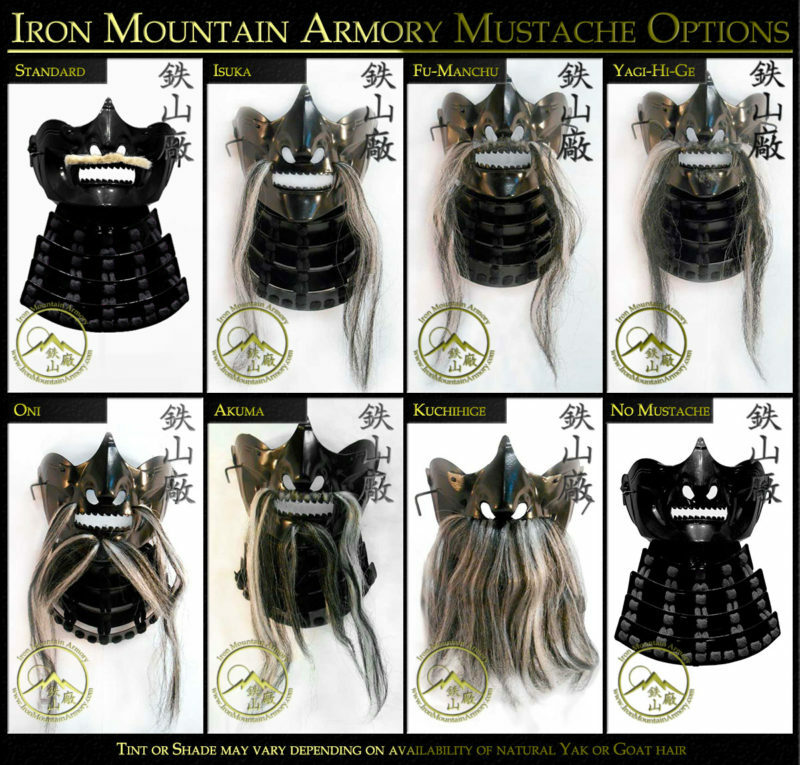 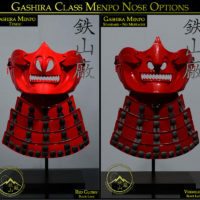 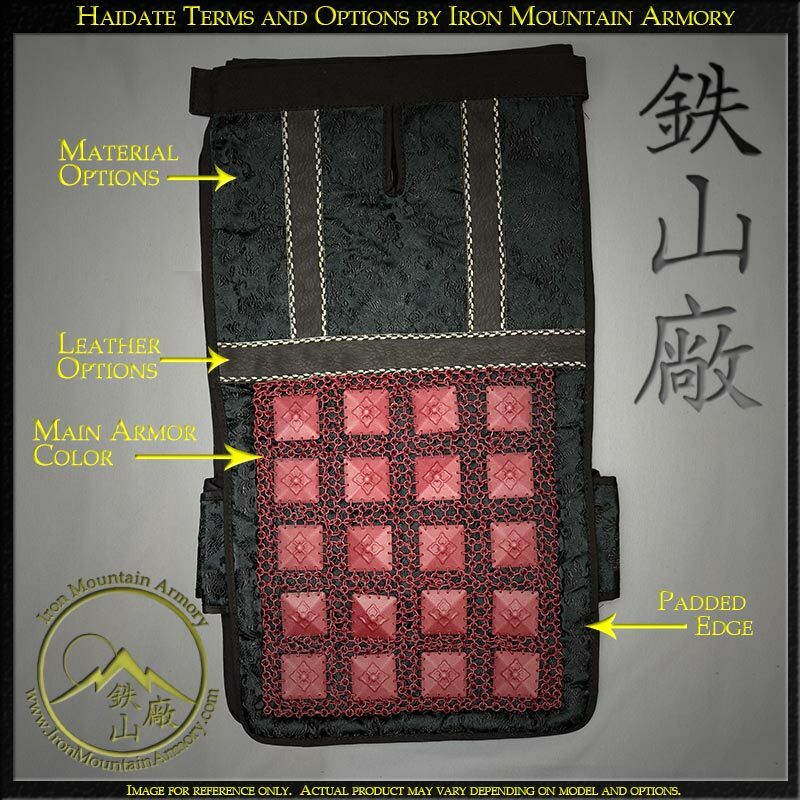 The skilled katchû-shi at the Iron Mountain Armory handcraft this product at the time of your order, so please allow 5 to 7 weeks for crafting of this item.